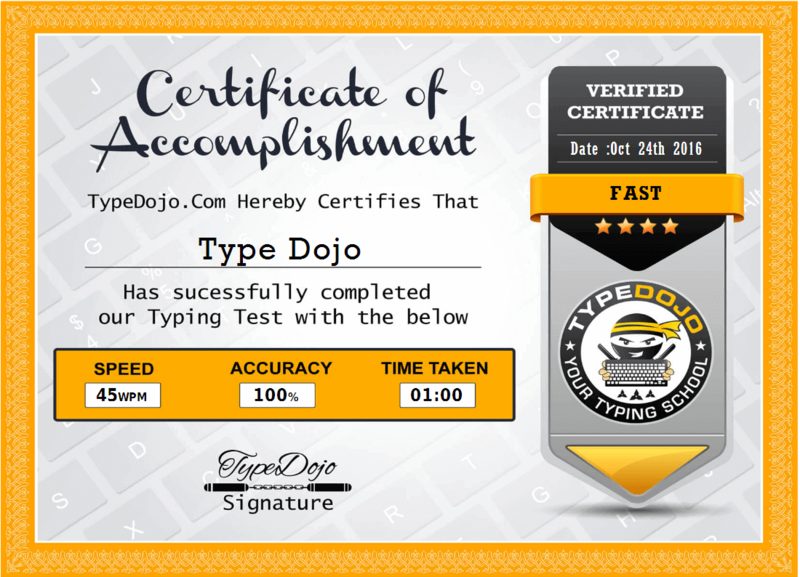 Choose any Typing Test to earn our free Professional Certificate. Learn new words based on your grade. Show the world about your Typing Speed & Accuracy. Note:Always Sit Straight. Make Sure Monitor Is Right For Your Eyes.Place Hands.Never Look The Keyboard.